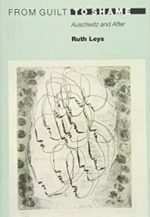 Trained in the physiological and psychological sciences at Oxford University, Professor Ruth Leys went on to receive her doctoral dissertation in the History of Science at Harvard University at a time when the work of Thomas Kuhn and Michel Foucault were beginning to have an impact, which is to say, at a time when the field of the history of science and medicine was starting to develop ways to think more thoughtfully about its theoretical and methodological assumptions. The writings of Jacques Derrida have also been an important influence on her work. Throughout her career she has been interested in different aspects of the history of the life sciences, especially the neurosciences, psychoanalysis, and psychiatry. She has analyzed the early history of the reflex concept, a defining concept for the modern neurosciences (From Sympathy to Reflex: Marshall and His Critics). She has edited what is arguably the most important correspondence between the two leading figures in twentieth-century American psychiatry and psychology, Adolf Meyer and Edward Bradford Titchener (Defining American Psychology: The Correspondence Between Adolf Meyer and Edward Bradford Titchener). 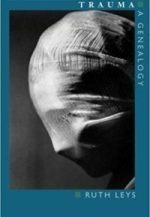 She has critically examined the history of the modern concept of psychic trauma from its origins in the work of Freud to recent discussions by Shoshana Felman, Cathy Caruth, and others (Trauma: A Genealogy). She has explored the post-World War II vicissitudes of the concept of “survivor guilt”and its recent displacement by notions of shame, focusing on the recent contributions to shame theory by Eve Kosofsky Sedgwick,, Giorgio Agamben, and others (From Guilt to Shame: Auschwitz and After, forthcoming winter 2007). She is presently working on a book on the post-war history of experimental and theoretical approaches to the study of the emotions, with a special emphasis on the philosophical issues at stake in the competing cognitivist and neo-Darwinian paradigms of the emotions.. Her teaching focuses on aspects of the history and theory of psychoanalysis; the history of psychiatry; the history of the neurosciences; trauma theory; the mind-body problem; and the history of approaches to the emotions. Recent seminar topics include: Freud’s Moses; The Philosophy and Neurosciences of the Emotions (with Professor Meredith Williams, Department of Philosophy); Trauma Theory Now; Madness After Foucault; From Guilt to Shame; Trauma and Testimony; Topics in Post-Holocaust Representation (with Professor Gabrielle Spiegel, Department of History); Identification/Disidentification; Mind and Matter (with Professor Paola Marrati). 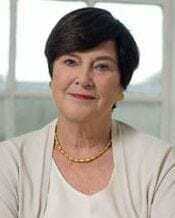 Ruth Leys has undertaken a variety of administrative duties at Johns Hopkins, including serving for several years as the Executive Director of the Zanvyl Krieger Mind/Brain Institute. “Post-Psychoanalysis and Post-Totalitarianism,” in Matt ffytche and Daniel Pick, eds., Psychoanalysis in the Age of Totalitarianism, 239–51 (London: Routledge, 2016). "Trauma and the Turn to Affect," in Ewald Mengel and Michela Borzaga, Trauma, Memory, and Narrative in the Contemporary South African Novel, 3–27 (Leiden, Brill–Rodopi, 2012). "The Turn to Affect: A Critique," Critical Inquiry 37 (Spring 2011): 434-72. "Affect and Intention: A Reply to William E. Connolly," Critical Inquiry 37 (Summer 2011): 799-805. "On Catherine Malabou's What Should We Do with Our Brain?" nonsite.org #2 (Summer 2011). "How Did Fear Become a Scientific Object and What Kind of Object Is It? "Representations 110, no. 1 (May 2010): 66–104. 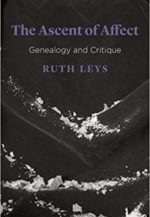 "Navigating the Genealogies of Trauma, Guilt, and Affect: An Interview with Ruth Leys," University of Toronto Quarterly 79, no. 2 (Spring 2010): 656-79. “Death Masks: Kardiner and Ferenczi on Psychic Trauma,” Representations53 (Winter 1996); 44–73. "Mead's Voices: Imitation as Foundation, or, the Struggle against Mimesis," Critical Inquiry 19, no. 2 (Winter, 1993): 277–307.